Devil's Relief is a composition of herbal extracts and tinctures, together with Devil's claw, an herb from Africa. 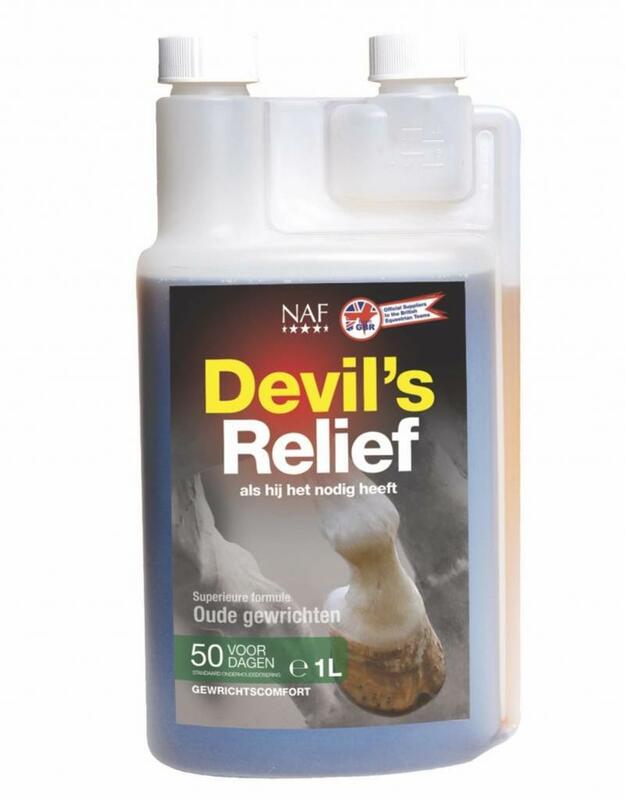 Devil's Relief offers extra comfort and support to horses that need it. The product can be given for a long time, but is not suitable for pregnant mares or for use during competitions that fall under the FEI rules.